Students who achieve academic excellence in a subject area and work to the best of their abilities in a certain discipline are nominated and recognized with the Soaring Eagle Award. The award recognizes enthusiastic, passionate, creative and intelligent members of the IHA community in all areas. 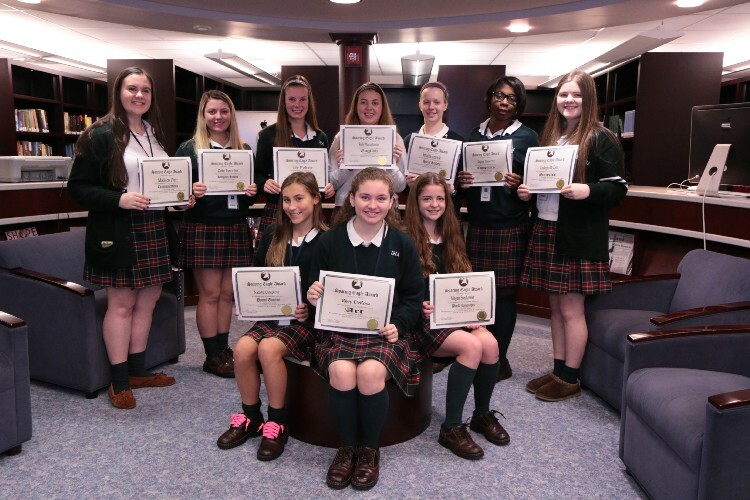 IHA is proud of all their accomplishments and congratulates them once again on being recognized as a Soaring Eagle. Students accept their Soaring Eagle Awards.